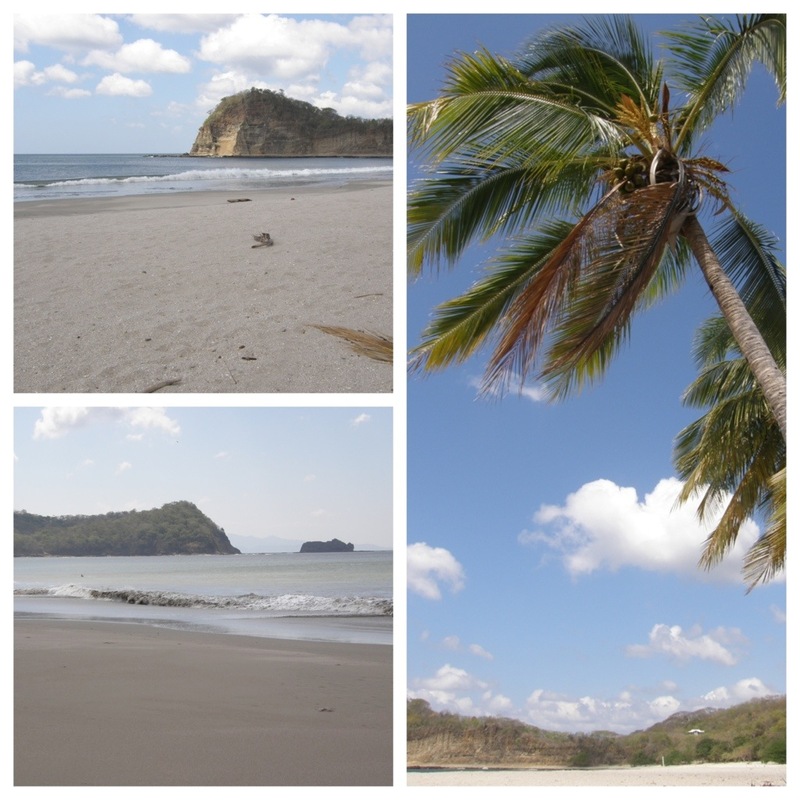 Should You Travel to Nicaragua? Posted on February 8, 2013 by Dayna B. Language: I have been to several Spanish-speaking countries before, even though I do not speak Spanish. During my other travels, I never felt like it created too much of a problem with communication as many of the locals spoke a fair amount of English. 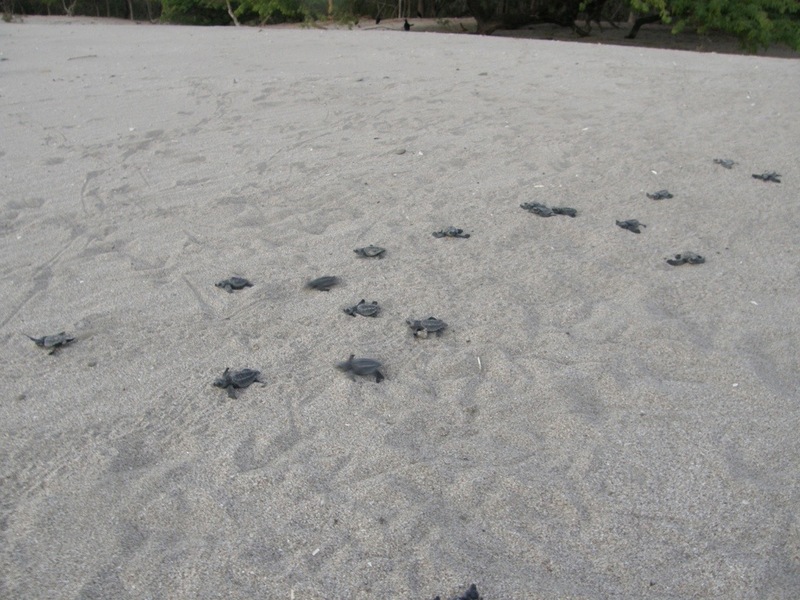 However, that was not the case in Nicaragua. 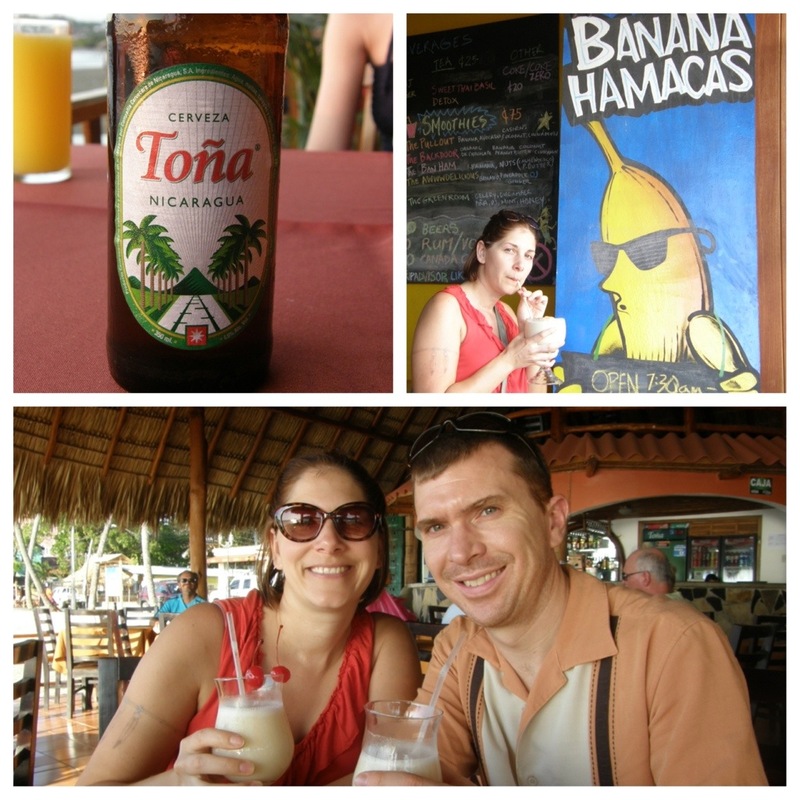 Luckily, Rob and Tami both spoke Spanish so it was not an issue during our vacation. 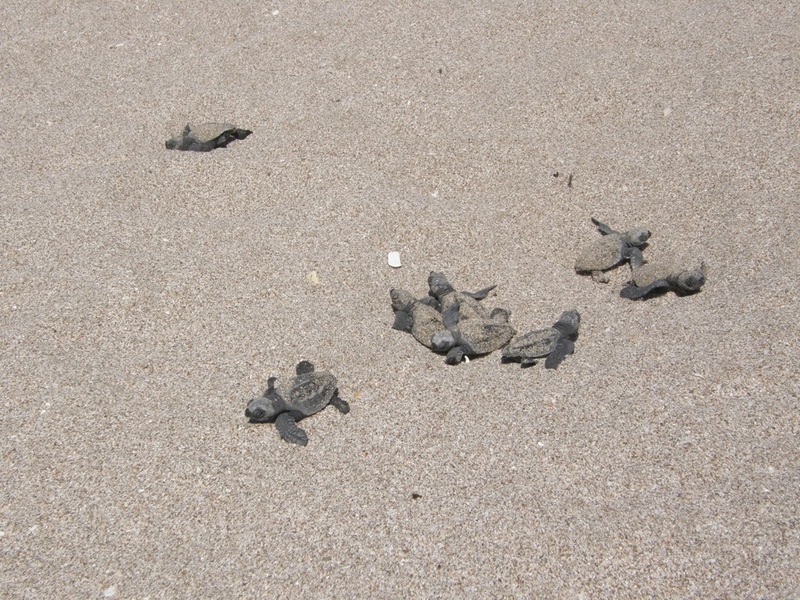 But, if you don’t speak Spanish, and neither do your travel companions, Nicaragua might not be the best choice for you. 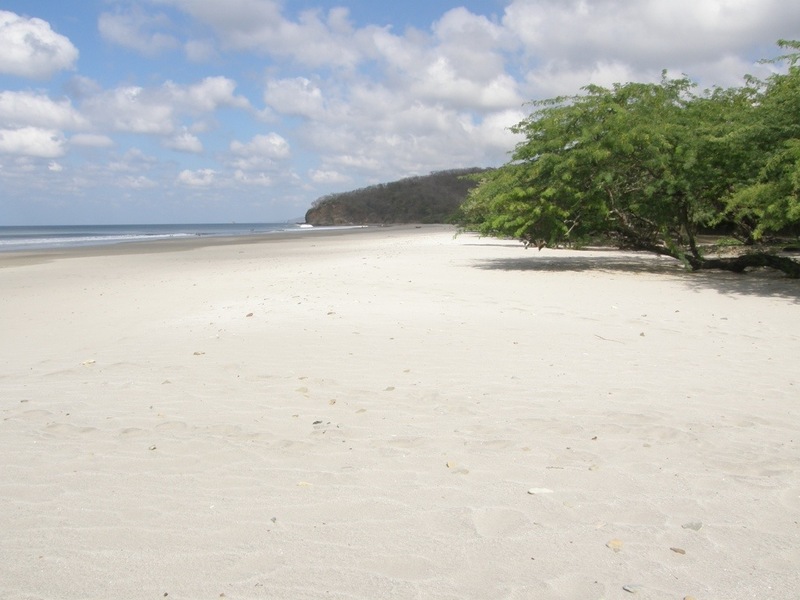 Safety: According to Wikitravel, Nicaragua was rated the safest country in Central America. 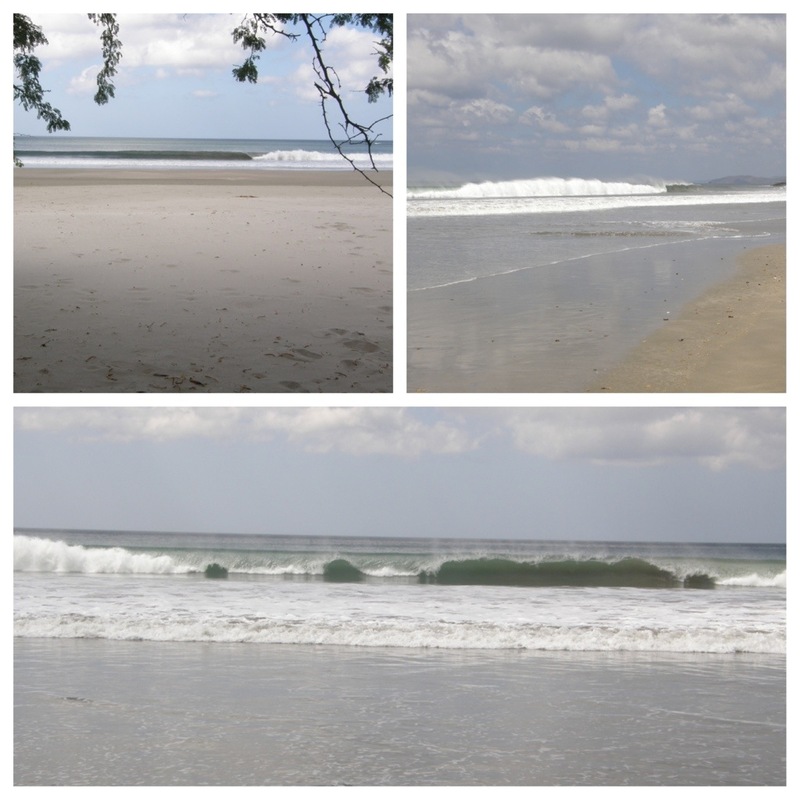 I definitely felt much more “at ease” in Costa Rica, but I still thought Nicaragua was fairly safe. With that being said, common sense and good situational awareness will go a long way! 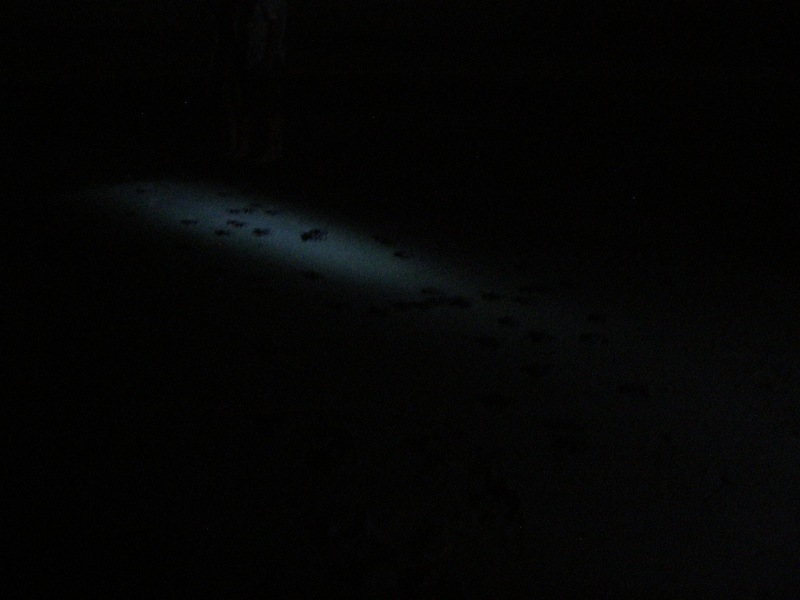 Previously, I mentioned our neighbors at Playa Coco were robbed by a guy with a machete, but I doubt they were savvy travelers. 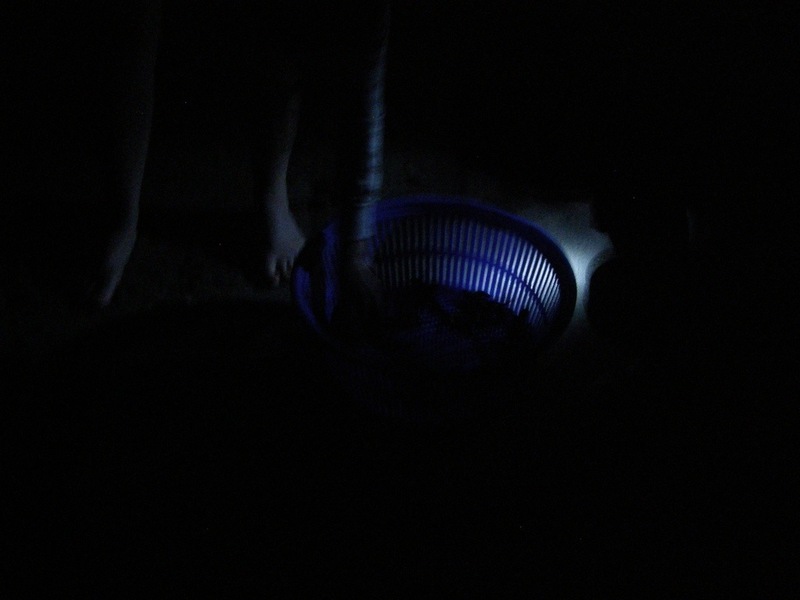 Walking around after dark, in an isolated area, is just asking for trouble no matter what country you are visiting. Don’t make yourself an easy target. 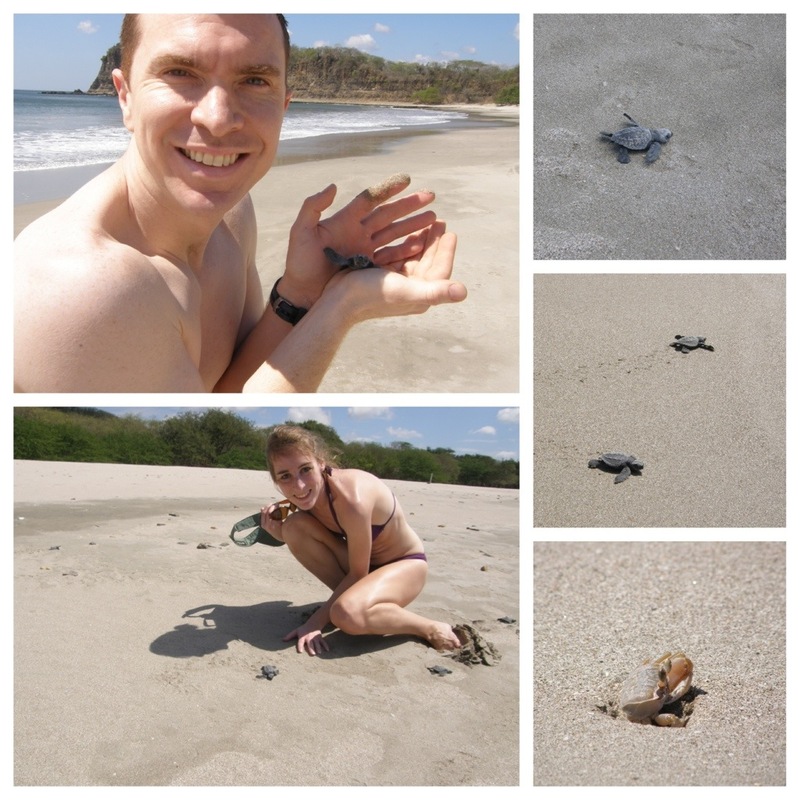 Our trip to Nicaragua was an adventure, to say the least. 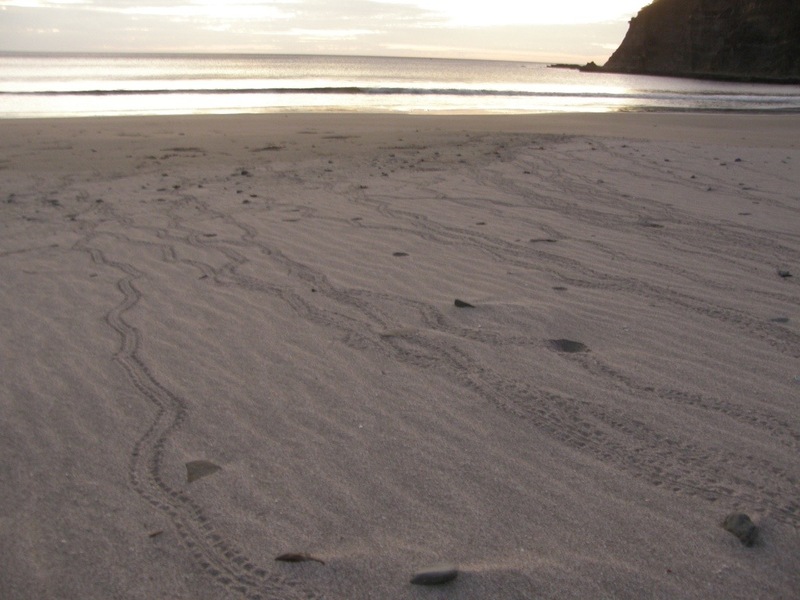 The country really does have a lot to offer for tourists, so don’t write it off just yet. Posted on February 7, 2013 by Dayna B. 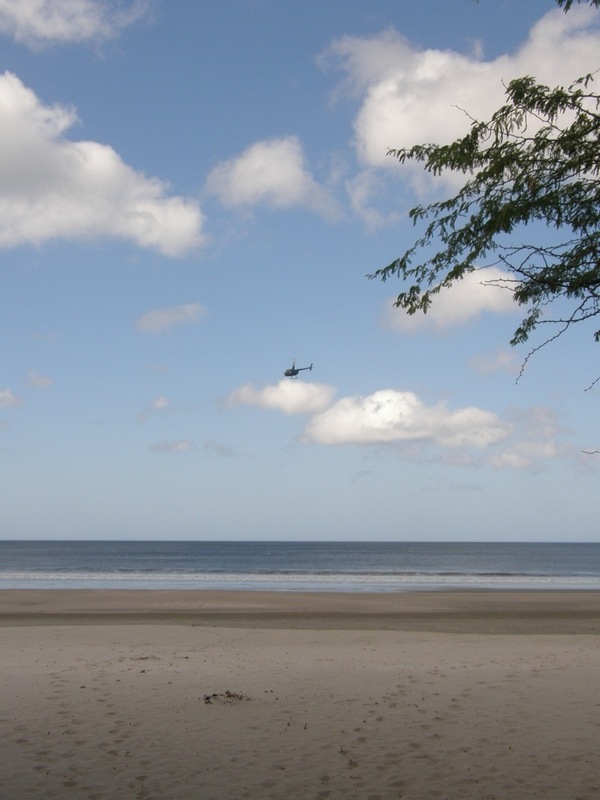 Who wants to deal with police corruption while driving on Nicaragua’s roads? Not me! 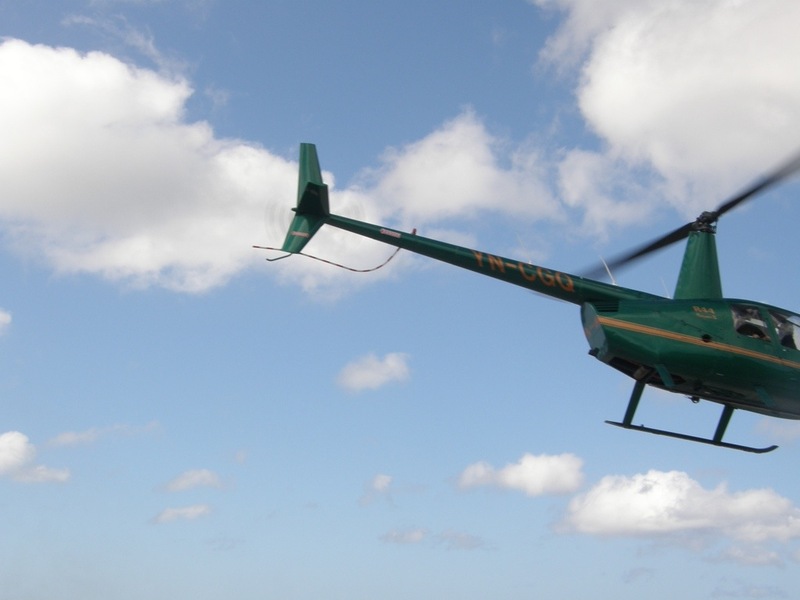 Next time, we are ditching the rental car and fueling up our chopper! 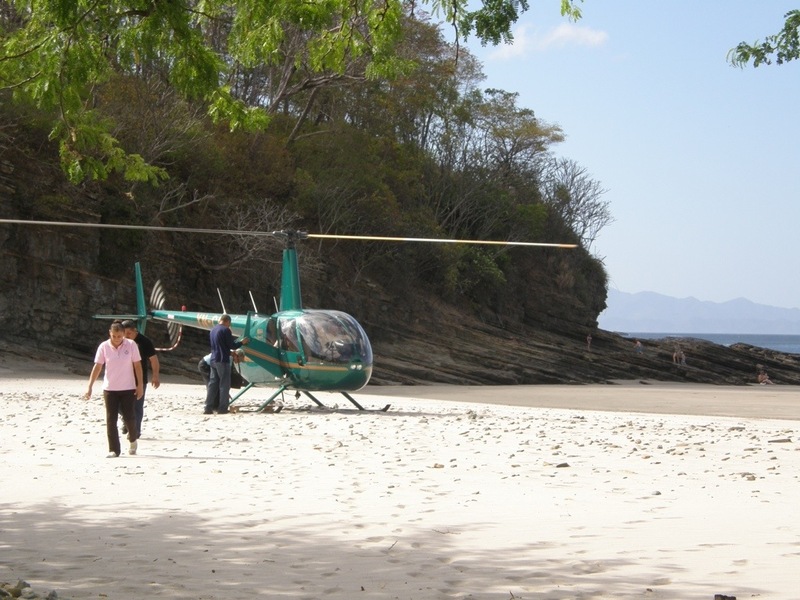 Oh, I’m sorry…did I forget to mention that Rob and I won the lottery and we now own a helicopter? That’s right, I did forget to mention it. But, only because it never happened (a girl can dream though). 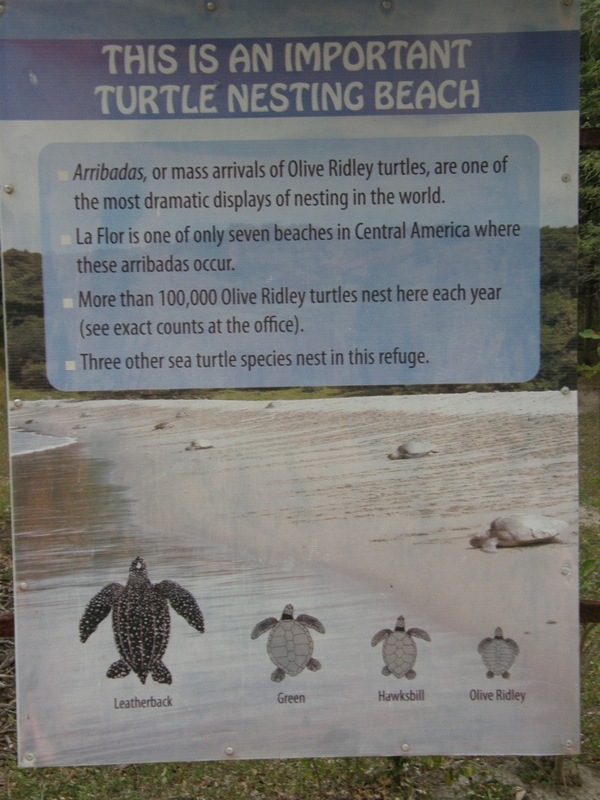 Apparently, a very wealthy Nicaraguan man owns a townhouse at Playa Coco and he likes to spend his weekends there. Driving back and forth every weekend would be such a drag. I can totally see why he would opt for this mode of transportation instead. 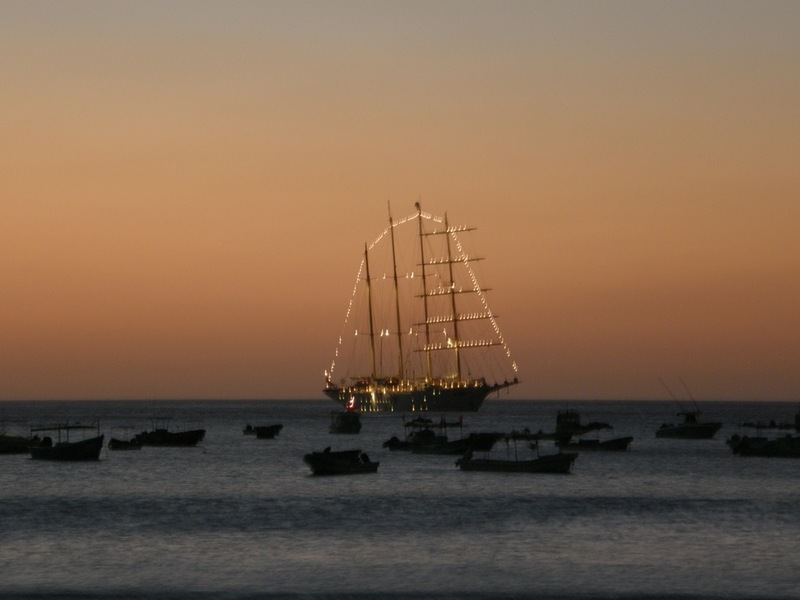 The word on the beach was this guy owns the largest cigar manufacturer in Nicaragua. He even had his own weekend staff to see him off. Whatever. I’m over it. I don’t like the guy anyway because he doesn’t like to share his hammock! Hammock story: Rich guy’s staff sets up his hammock whenever he visits Playa Coco so that he can lounge on the beach, smoking his cigars, swinging in his hammock. I didn’t realize the hammock was not part of the “communal” property (like the pool), and I decided a nap in the hammock was just what the day called for. Unfortunately, I was quickly signaled to back away from the hammock. 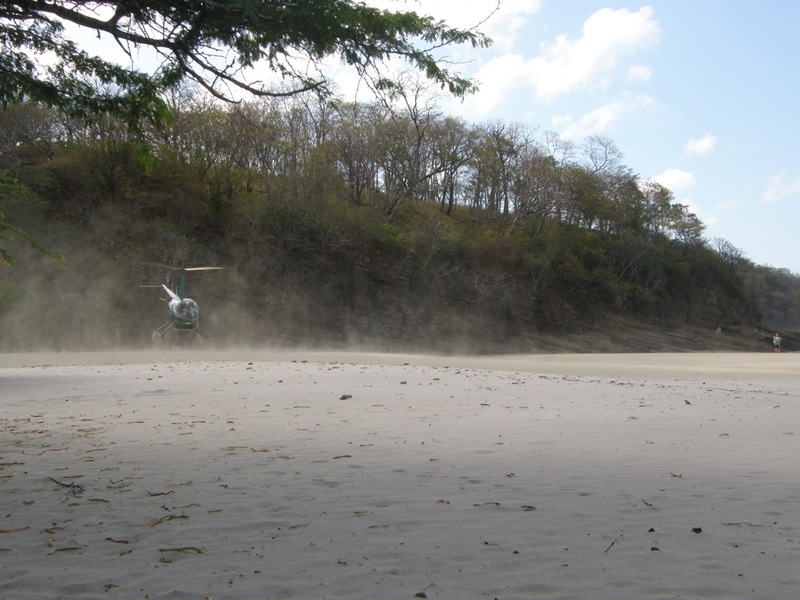 Then, the hammock disappeared just as quickly as his departing helicopter! 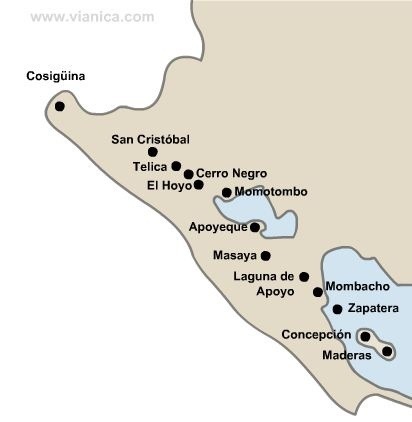 Nicaragua is often referred to as “the country of lakes and volcanoes.” As you can see in the picture below, there is an impressive line of volcanoes that runs from north to south along the western side of the country. This picture shows Nicaragua’s share of the Central American Volcanic Belt. Some of the volcanoes are dormant, while others remain active. These volcanoes offer interesting opportunities for tourists. You can hike to the top of these volcanoes, swim in crater lakes, and there is even a thing called volcano surfing! 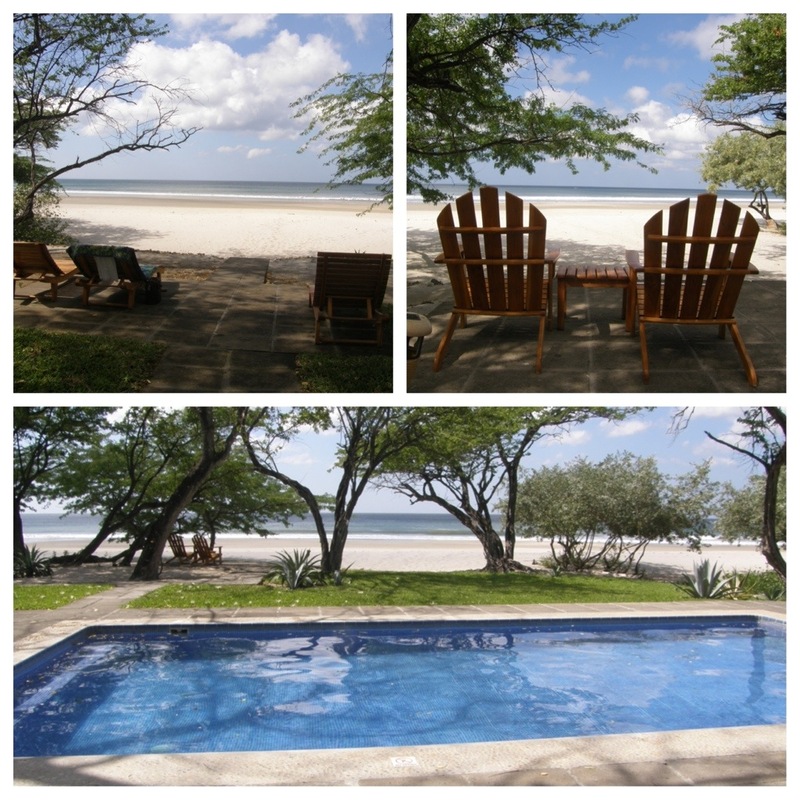 The two closest volcanoes to Playa Coco are located on Ometepe Island inside Lake Nicaragua. 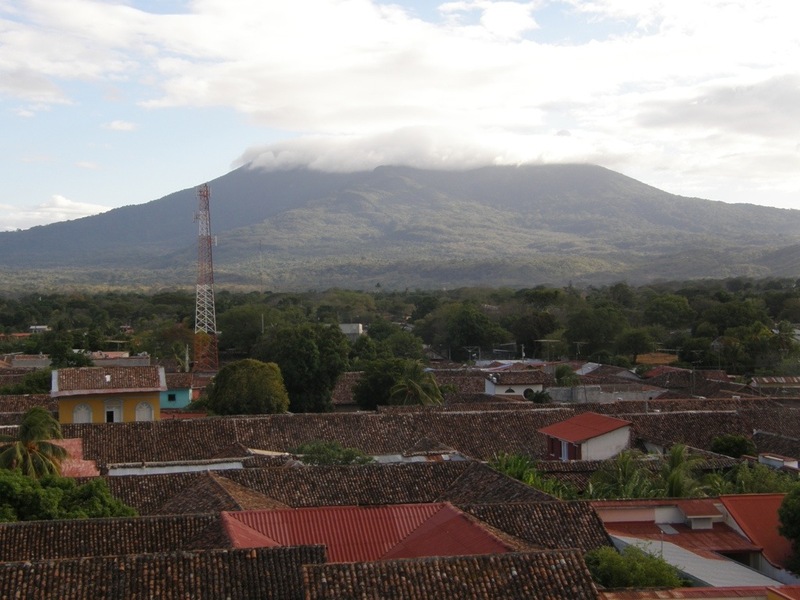 Concepcion is an active volcano and Maderas is dormant. People actually live on this island and there are even coffee and banana plantations amidst these two volcanoes. 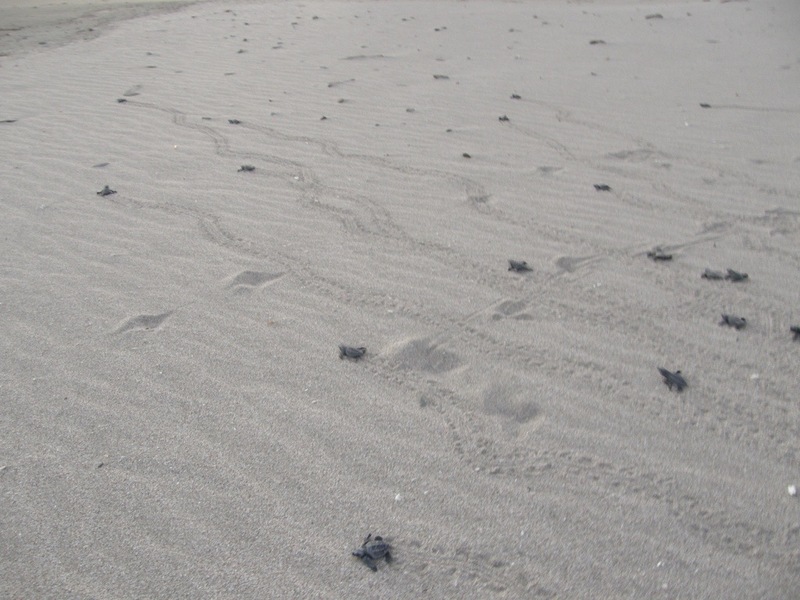 The last violent eruption of Concepcion occurred in 1986, but there have been less catastrophic eruptions as recent as 2009. Tourists are able to climb both volcanoes, but each have extremely high difficulty ratings. It is estimated to take about 10 hours to climb and descend Concepcion and the tour books recommend that you start no later than 6 a.m. The only problem there is that the earliest ferry to the island leaves after 7 a.m. So they recommend that you take the ferry the previous day and then spend the night on the island. I could be wrong, but I don’t think there are any hotels on the island and we forgot (a.k.a. didn’t intend) to pack a tent. Of course, Rob was all about doing this little adventure anyway, but there wasn’t much he could say to convince Tami and I to join him! 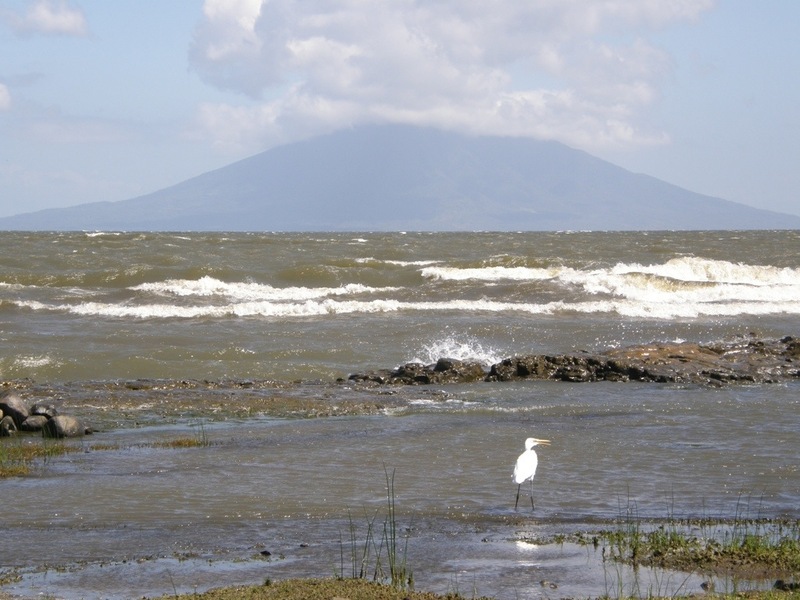 As mentioned in an earlier post, the Mombacho Volcano is close to Granada and borders Lake Nicaragua. 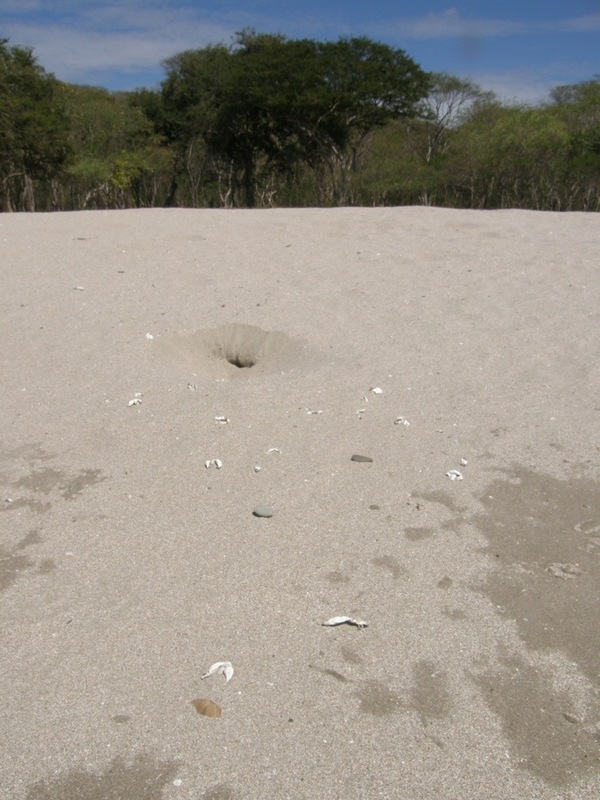 Mombacho is dormant and it is the second most accessible volcano in the country. 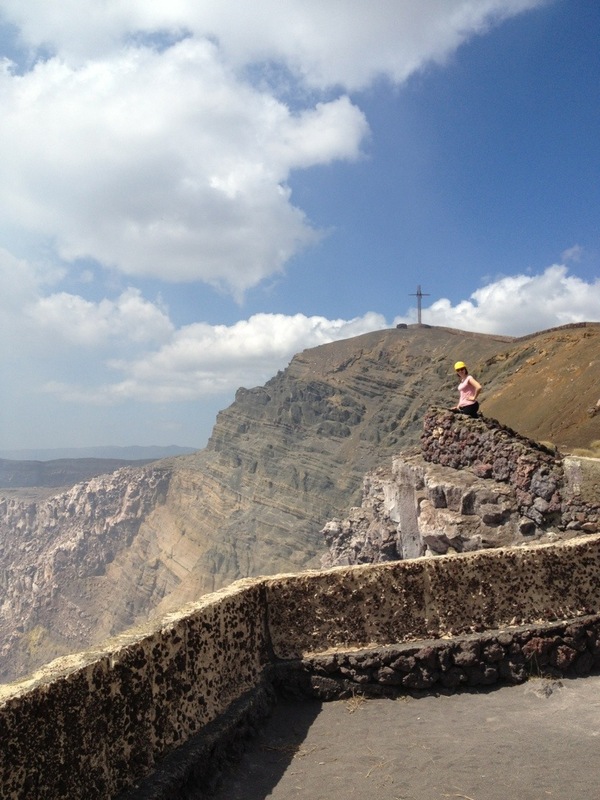 There is a paved road so visitors can drive to the top of the volcano. We attempted to visit Mombacho after we departed Granada, but unfortunately, the park was already closed for the day (darn Sunday hours!). 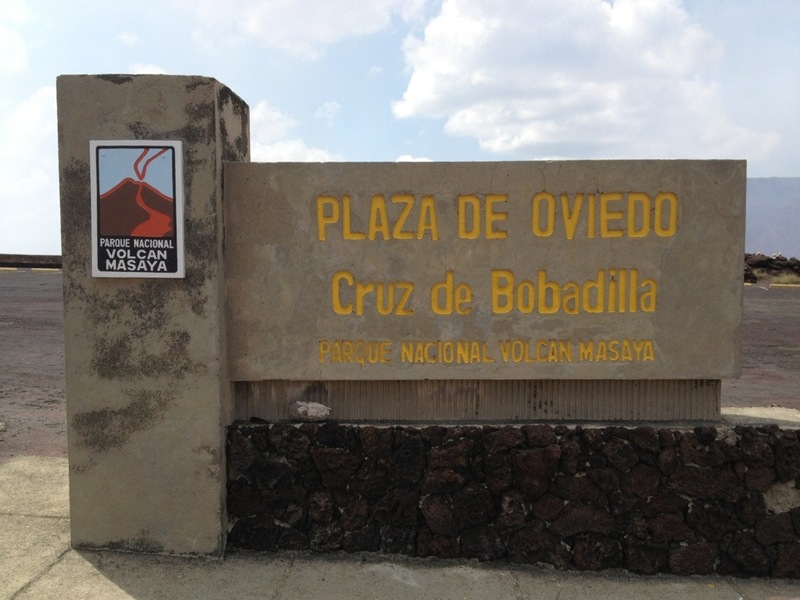 The Masaya Volcano is active and it is the most accessible volcano in the country. There is a national park (Nicaragua’s first and largest) around the volcano and a paved road leads directly to the Santiago crater. 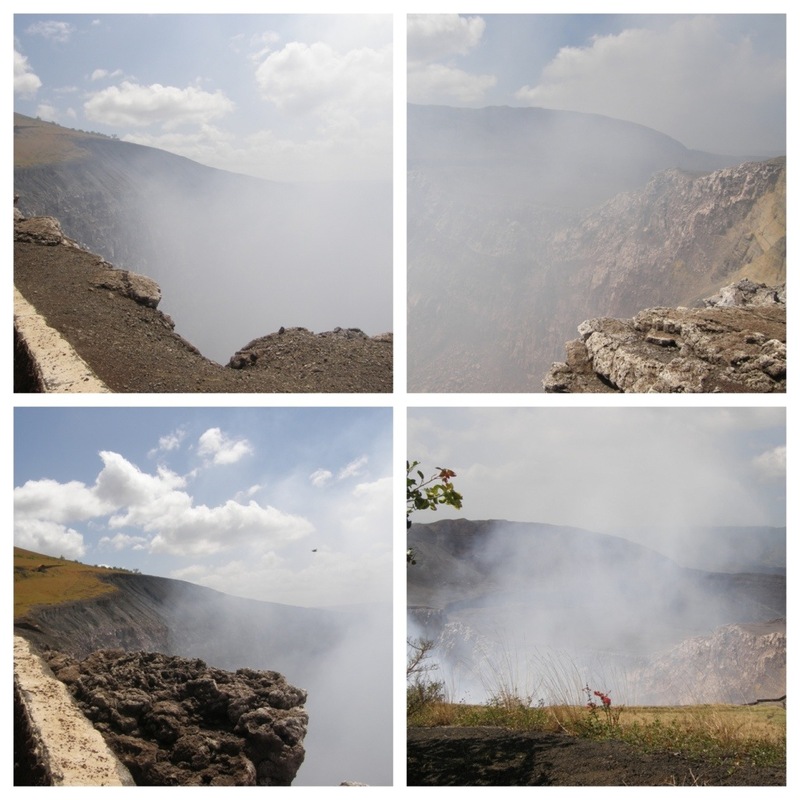 The park actually includes two volcanoes (Masaya and Nindiri) and five craters, but the Santiago crater is the most active crater in the park. The Masaya Volcano is currently going through a cycle of passive degassing, which means sulfuric gas (among other gases) is continuously emitted from the crater. The cycle started in 1993 and still continues today. 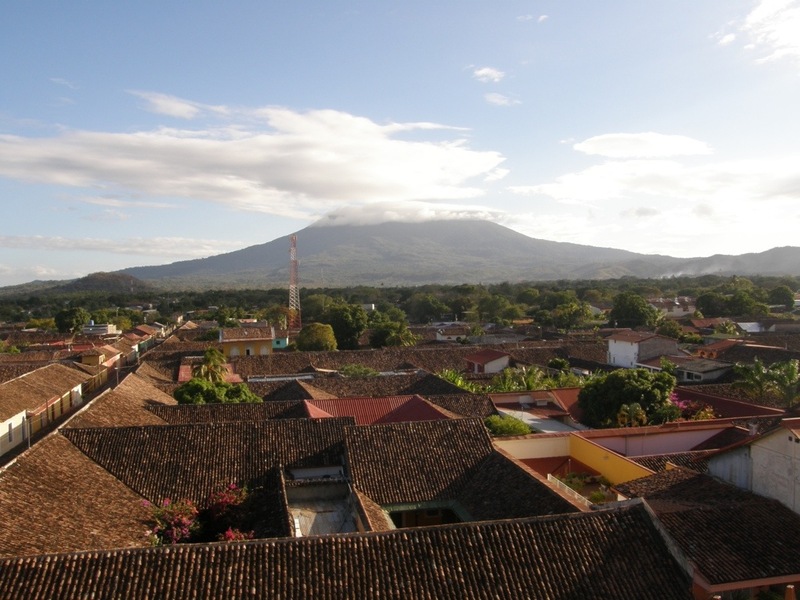 The volcano has erupted several times throughout history (most recently in 2003) and it was feared by the indigenous people as well as the Spanish conquerors. The Spanish baptized Masaya “La Boca del Inferno” (The Mouth of Hell) and they planted a cross above the crater to exorcise the Devil. 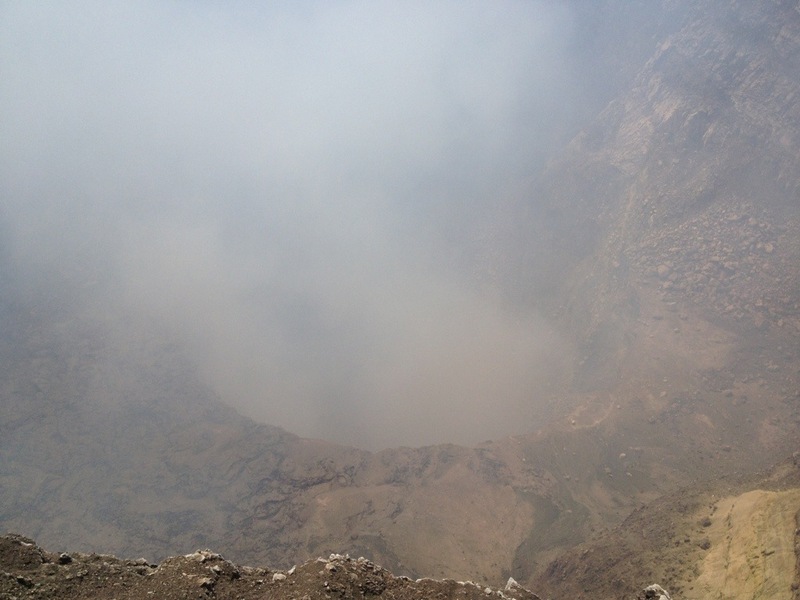 Check out the video below to see this awesome smoking crater! Posted on February 6, 2013 by Dayna B. 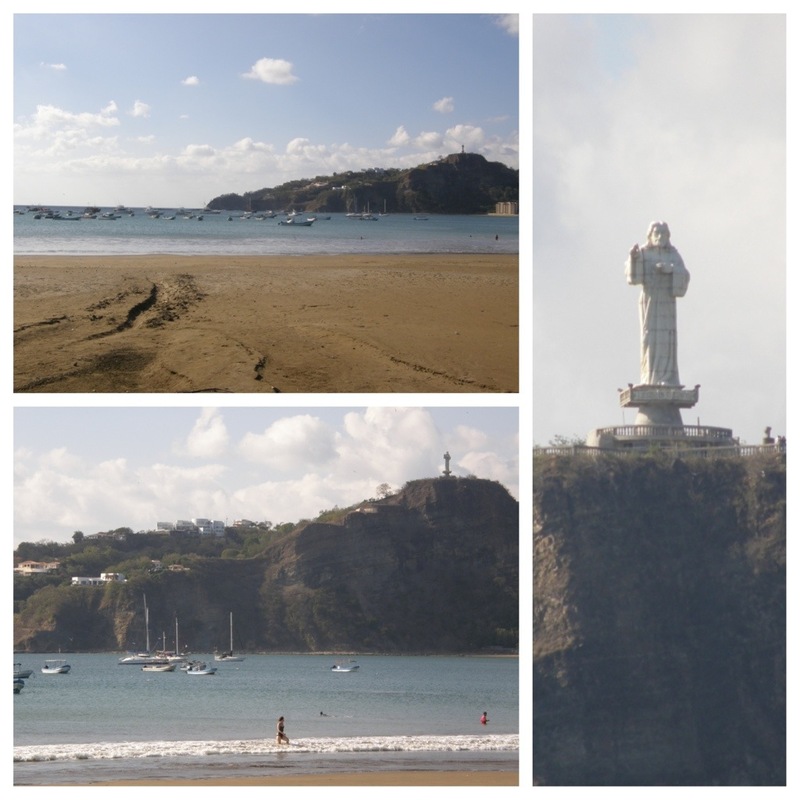 As I mentioned in an earlier post, San Juan del Sur is the closest town to where we were staying (Playa Coco). 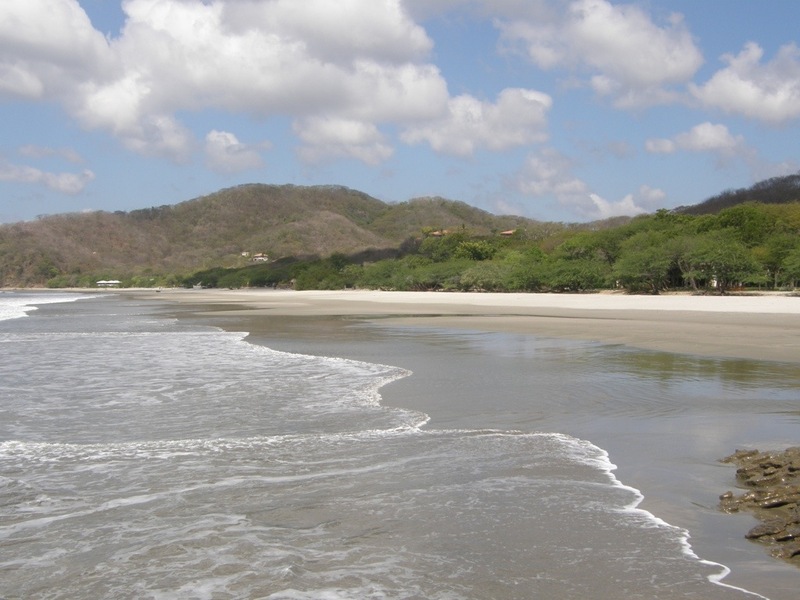 Once a sleepy fishing village, San Juan del Sur is now a tourism hotspot and considered the quintessential surfing town in Nicaragua. 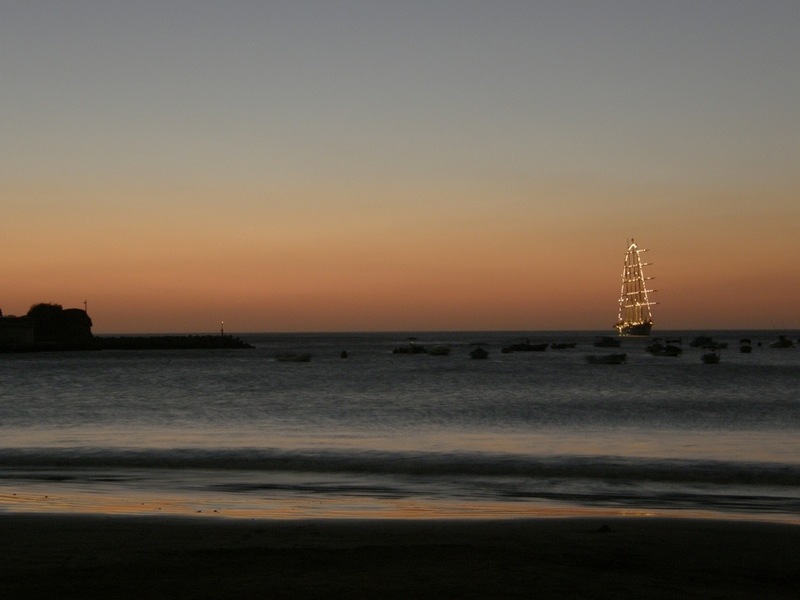 It is set aside a crescent-shaped bay and it is home to the Christ of the Mercy statue. The Christ of the Mercy is a giant statue of Jesus Christ that sits above town on the northern end of the bay, and it is the biggest statue of Christ in Central America (just in case you are a big fan of Christ statues). 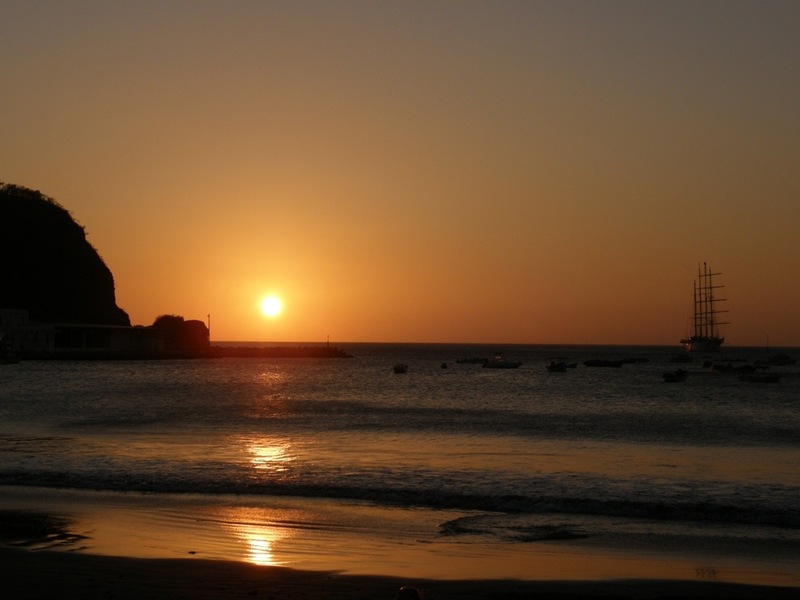 There are many activities to do during the day, but San Juan del Sur also has bustling nightlife. 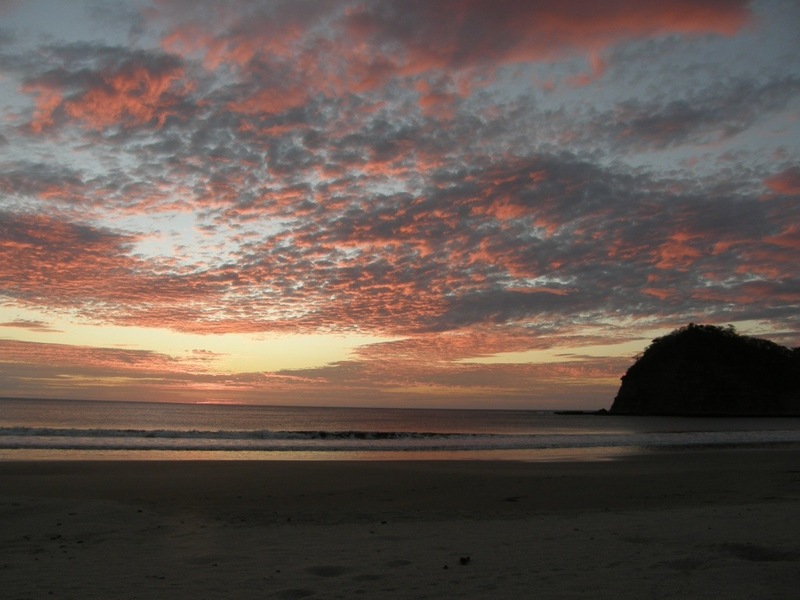 The nightlife in Playa Coco is pretty much nonexistent, so we decided to spend an evening in San Juan del Sur so we could do some bar hopping. There are a ton of beachfront bars and restaurants and many of them offered sweet happy hour specials (we basically would have been losing money if we didn’t take advantage of these deals!). After quenching our thirst on several tasty beverages, it was time for dinner. 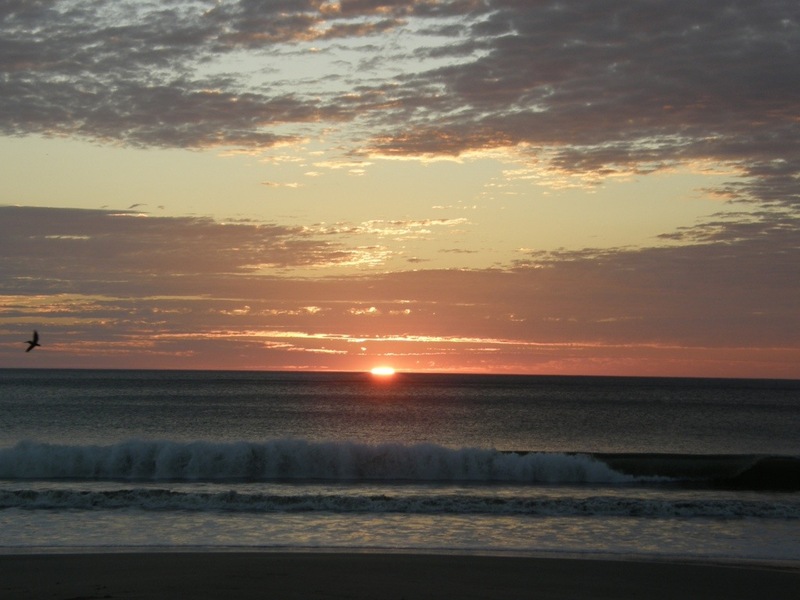 We picked a seafood restaurant along the beach so we could watch another beautiful sunset. Posted on February 5, 2013 by Dayna B. 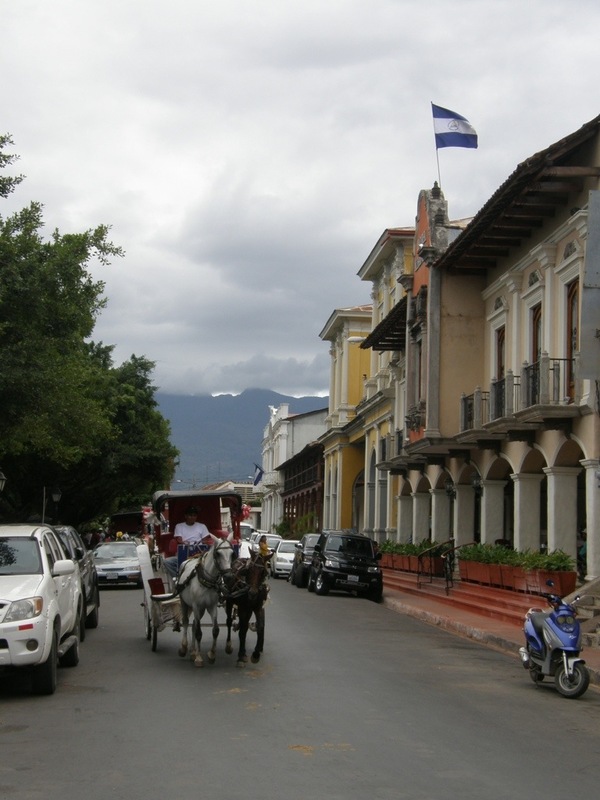 When planning our trip to Nicaragua, I was told that we had to visit Granada. 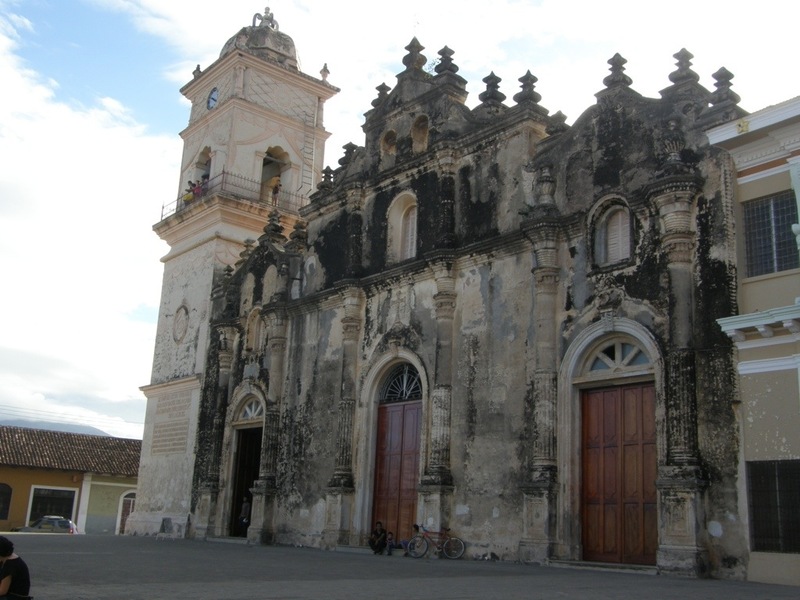 Granada was founded in 1524 by Francisco Hernandez de Cordoba and it is considered the first European city in mainland America. 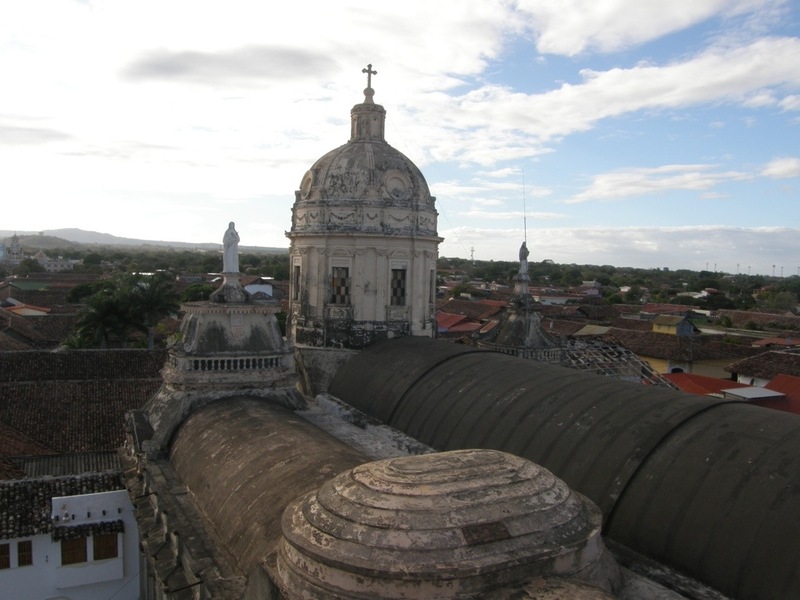 Granada is Nicaragua’s 4th largest city and it is rich with history and beautiful architecture. I was excited to visit Granada, but after our driving experience on Day 1, none of us were looking forward to the 2+ hour journey to get there. However, after establishing a better road strategy we managed to make it to Granada without getting pulled over! 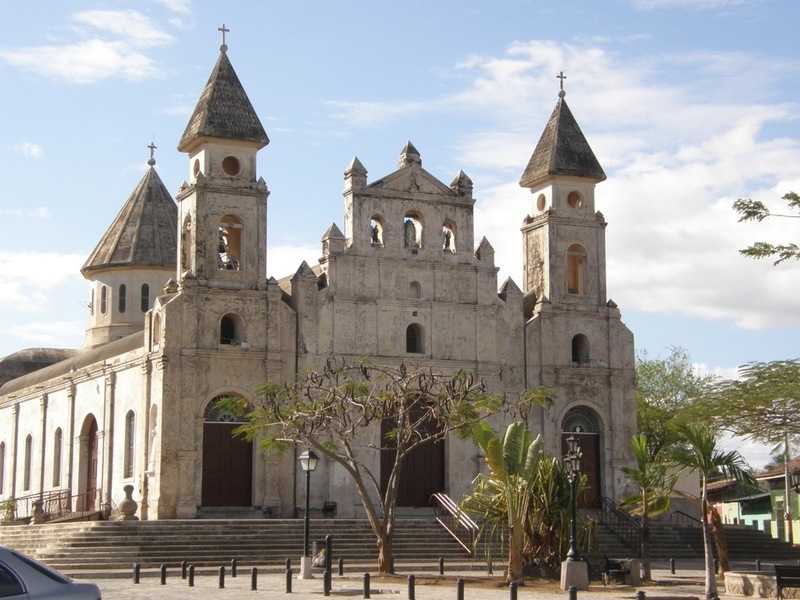 We arrived in the historical center of the city and immediately began to appreciate the colorful buildings and colonial architecture. 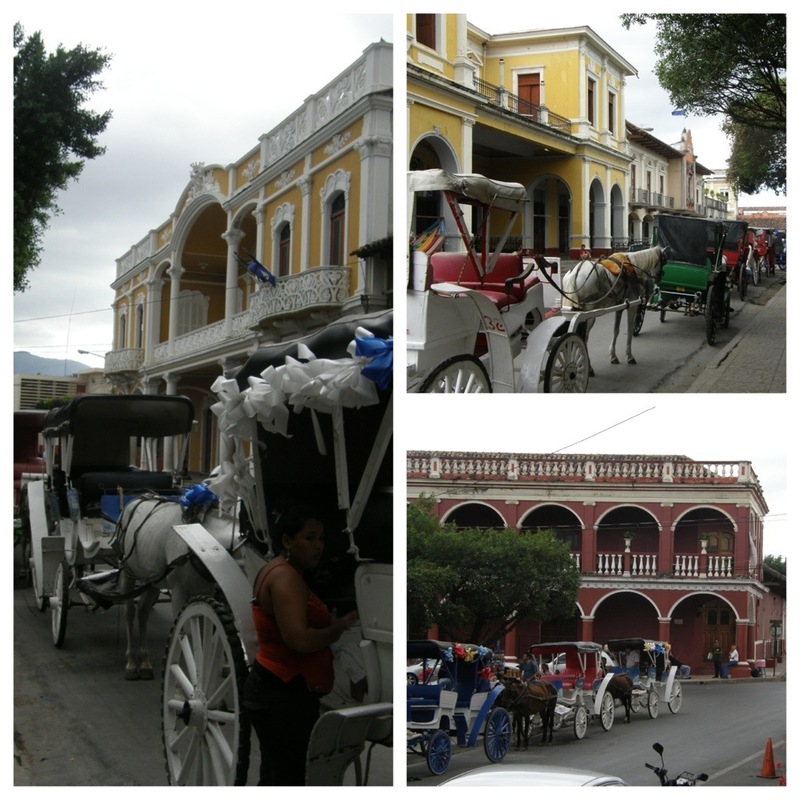 We walked around the Parque Central (town square) to get a nice view of the Cathedral and the streets lined with horse-drawn carriages. For lunch, we decided to eat in the Parque Central at what appeared to be a popular outdoor restaurant. The food was delicious and very inexpensive. 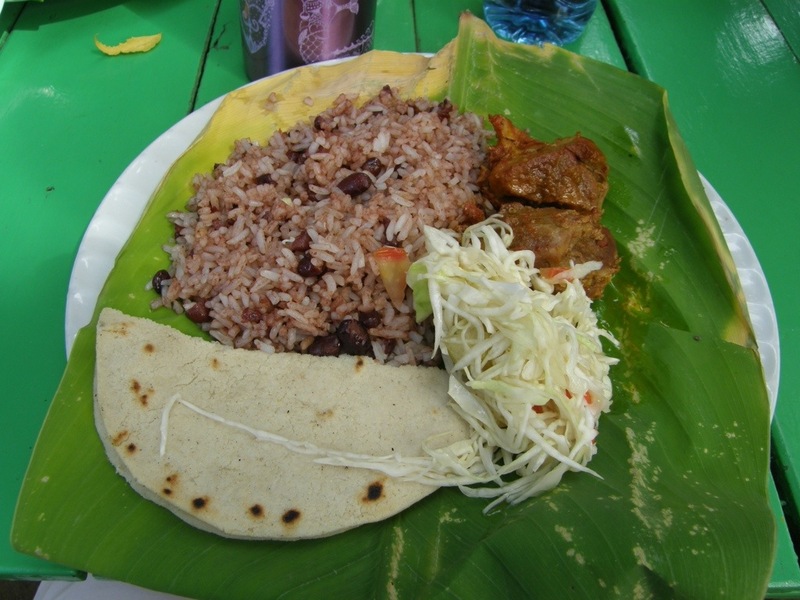 I ordered gallo pinto (rice & beans) with pork for about $2. After lunch we decided to walk down to the waterfront. 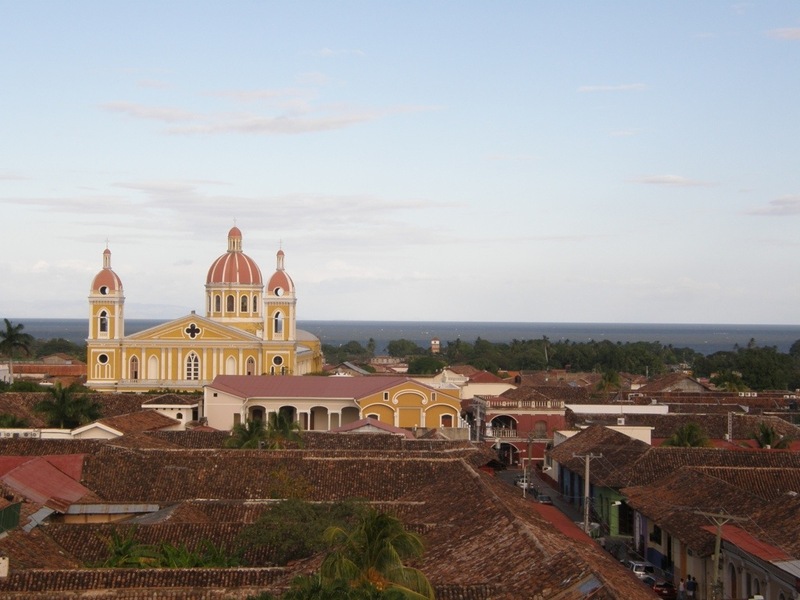 Granada is located along the coast of Lake Nicaragua, one of the world’s largest fresh-water lakes. Fresh-water lakes sound safe, right? WRONG! 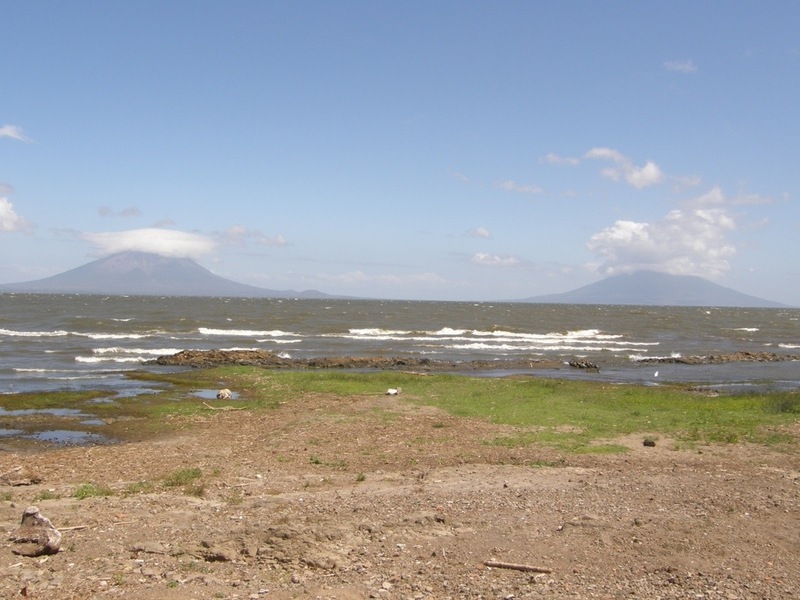 Lake Nicaragua is home to the Nicaragua shark (a.k.a. the Bull Shark) and they are extremely aggressive. Don’t believe me? 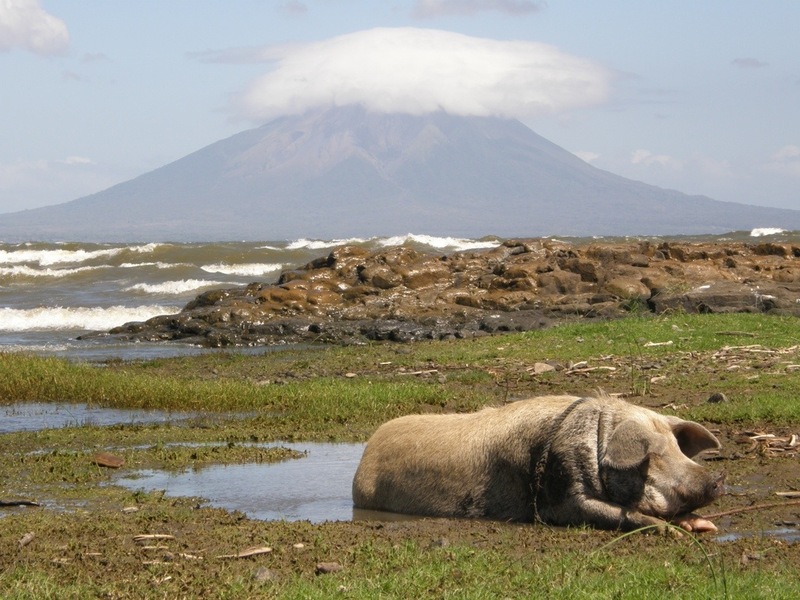 Check out this article that lists Lake Nicaragua among the Top 10 Shark Infested Beaches in the World! 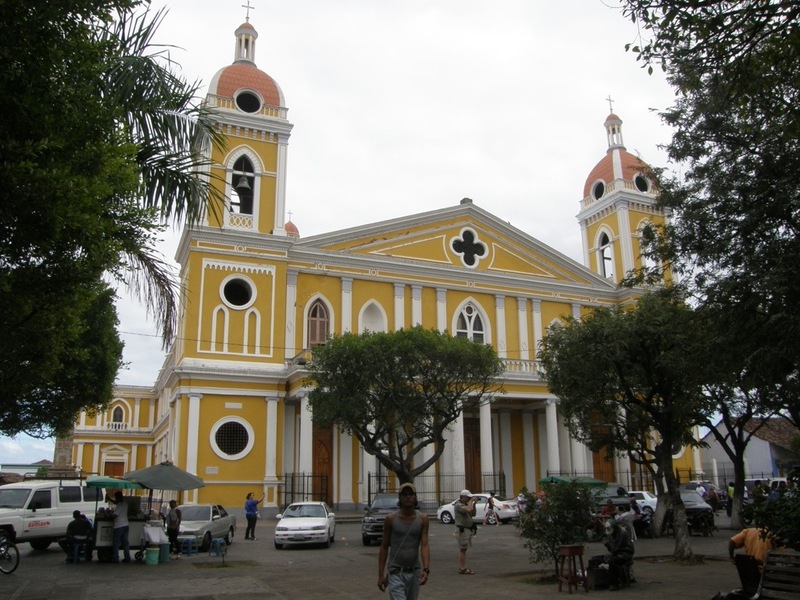 On our walk back to the Parque Central we passed the beautiful Guadalupe Church. Then we stopped at Lilly’s Café for a refreshing smoothie. 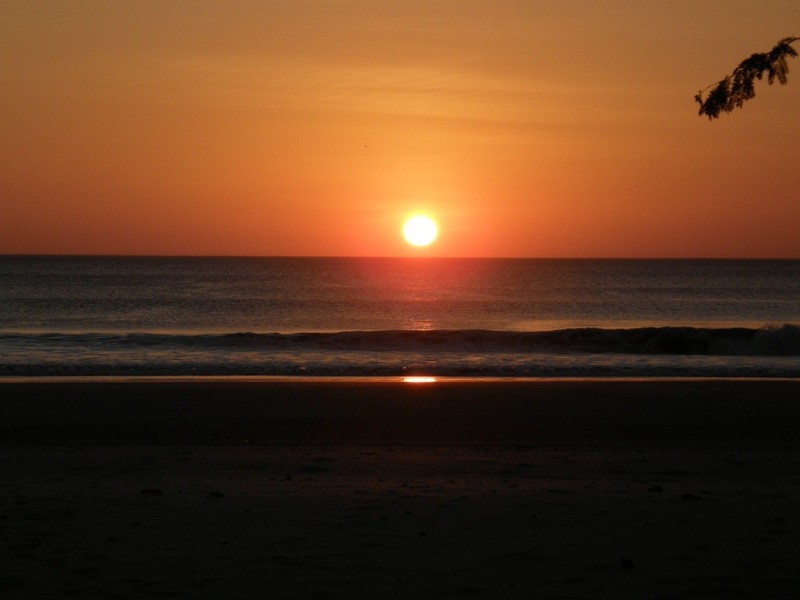 Lilly is an expat that has been living in Nicaragua for about 20 years. 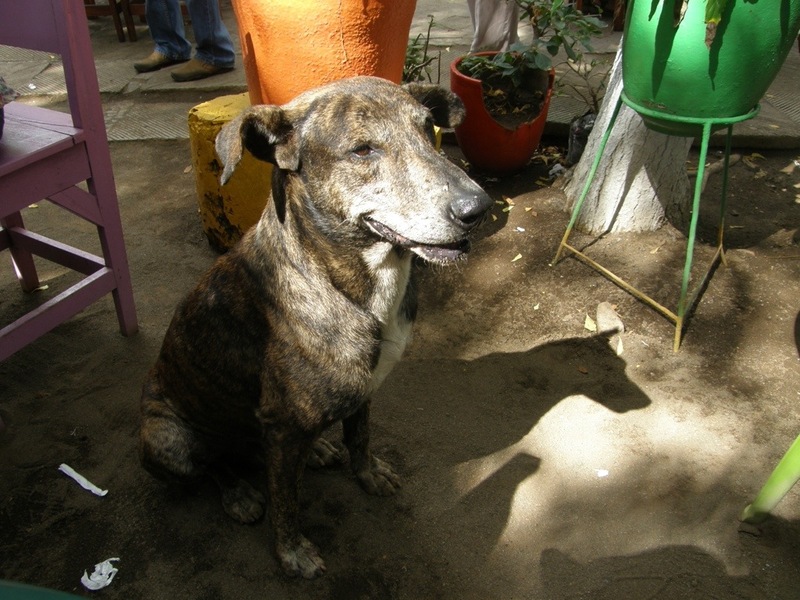 We had a nice conversation with her about what it is like to live in Nicaragua. 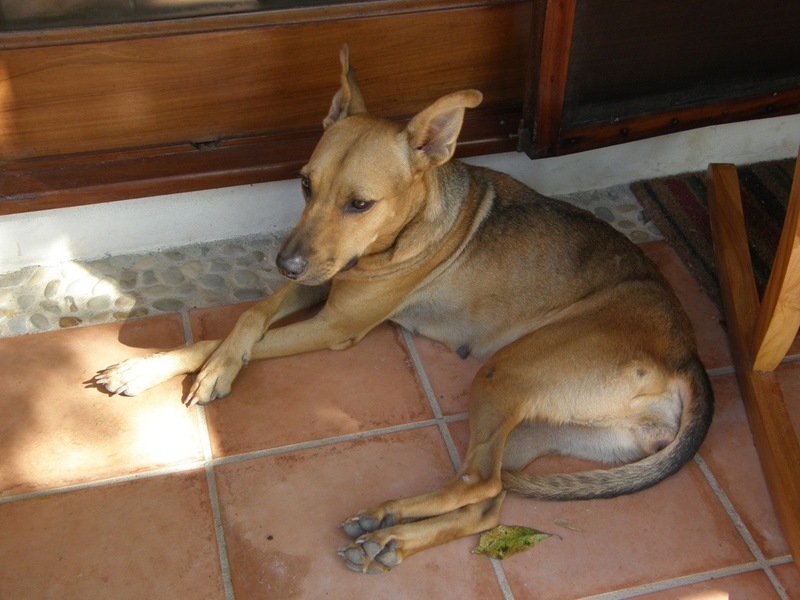 Despite the issues with police corruption, she seems to be extremely happy living there. 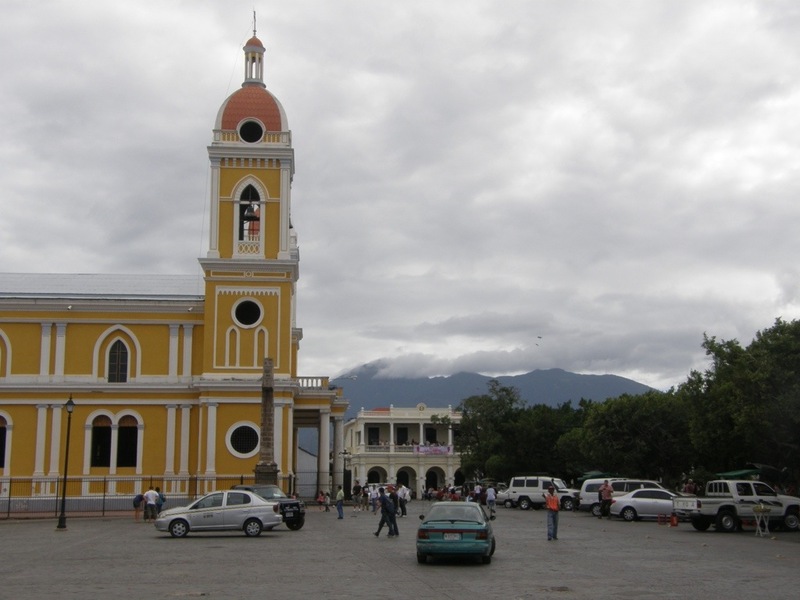 Before we left, Lilly recommended we go to the La Merced Church and climb the Bell Tower of Iglesia for the best view of the city and the Mombacho Volcano. 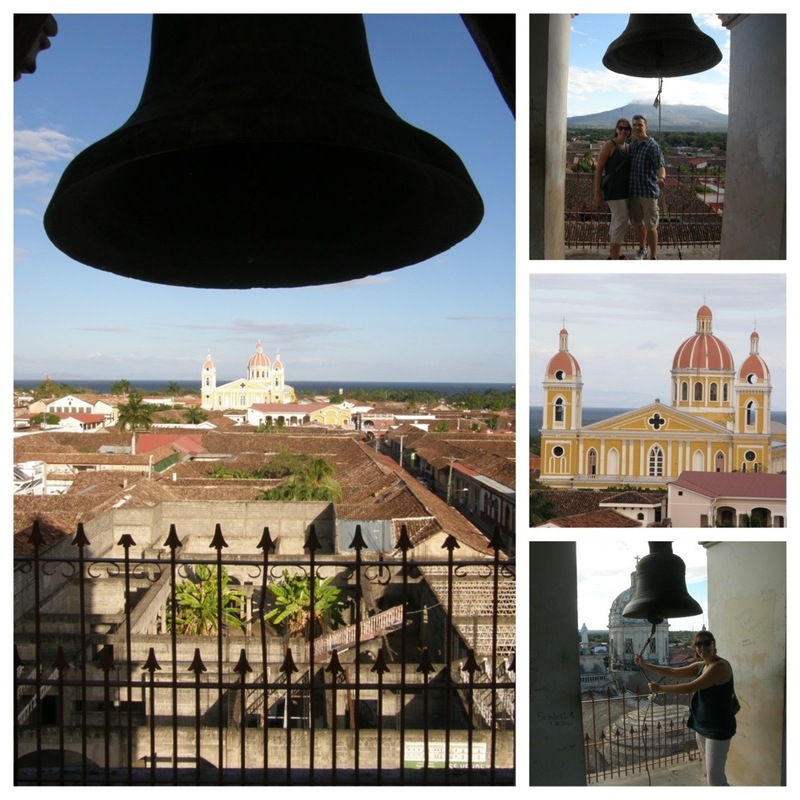 There was a $1 entrance fee to climb the bell tower, but the view was more than worth it. 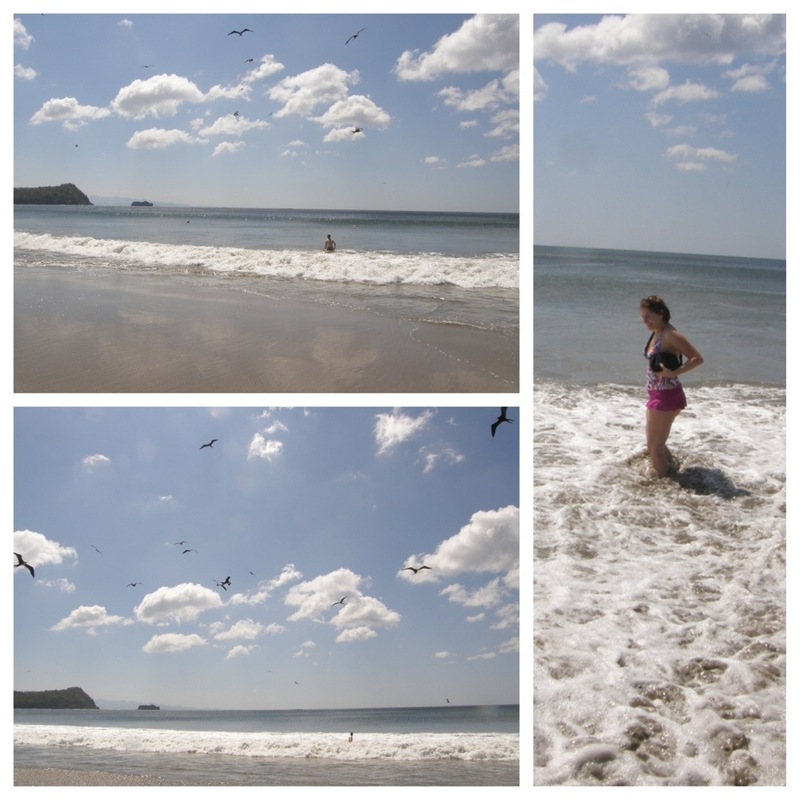 We enjoyed our visit to Granada and amazingly we made it all the way back to Playa Coco without getting pulled over! Posted on February 2, 2013 by Dayna B.
I named the dog above Baby Girl. She had already had at least one litter, but I could tell from her teeth that she was still just a pup herself. She was covered in fleas and I could see way too many ribs, but she was so sweet! Even when I had no food to give her, she was content to just chill on the patio with me while I read. 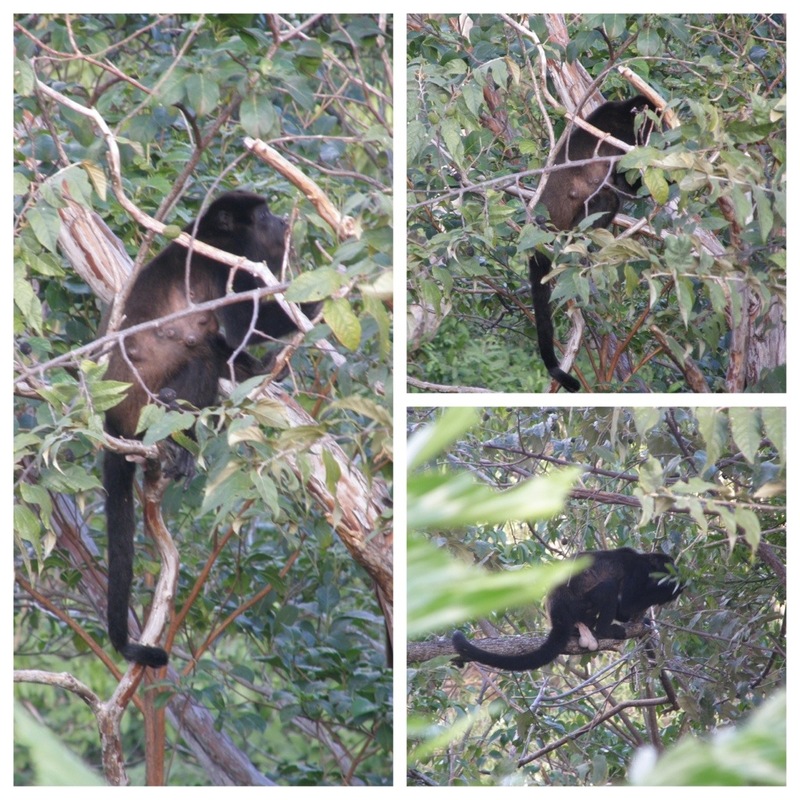 We also got some face time with a few Howler Monkeys in the trees right outside our condo. 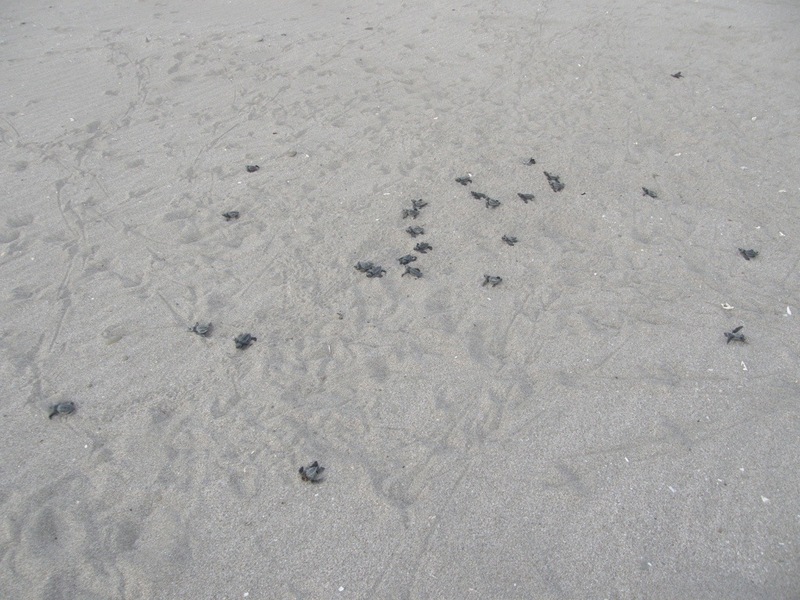 I was super excited to see them up close because Rob and I could always hear them during our honeymoon in Costa Rica, but we never really got a good view of them. 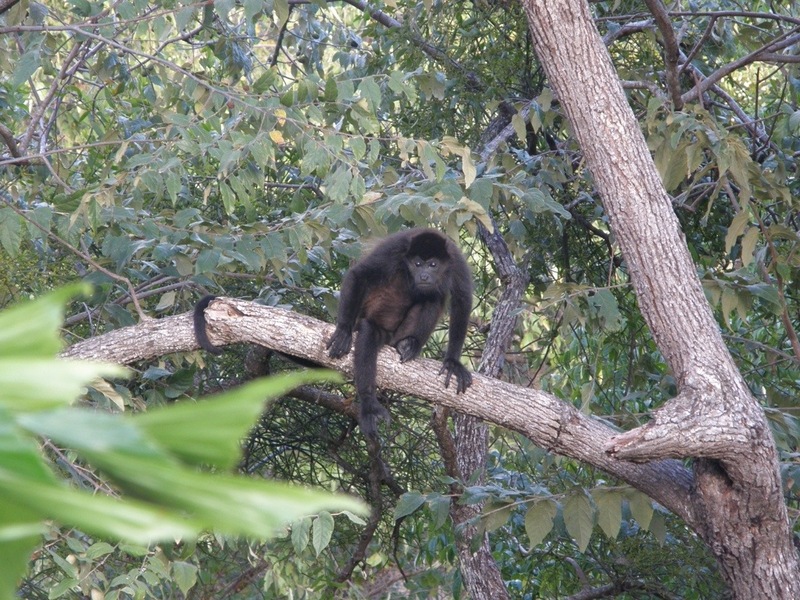 Howler Monkeys rarely ever come down from the trees, making them much harder to see close-up. Luckily for us, we had a sweet roof-top deck that allowed us a great view! The sound of a Howler Monkey is quite unique. I recently learned that they are actually the loudest land animals on the planet! 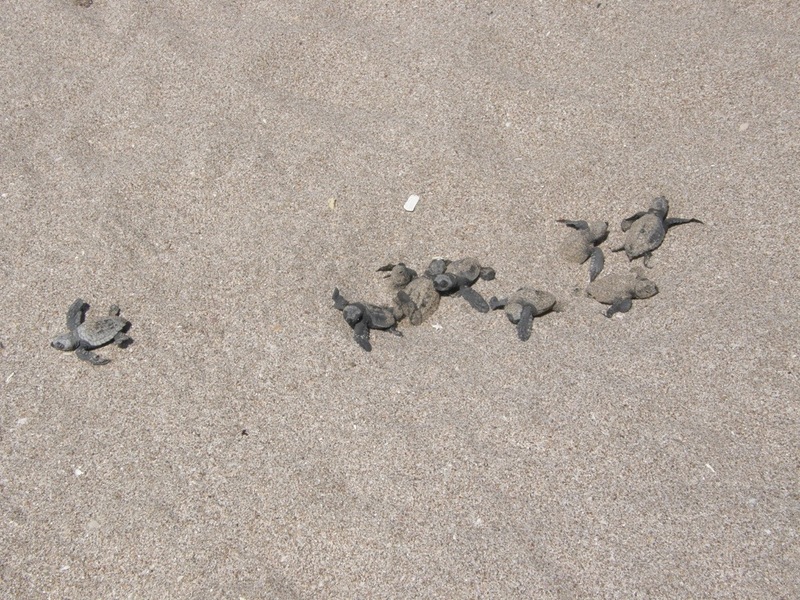 I would never have guessed that these little guys could beat out the roar of a lion or the trumpet of an elephant, but I guess it is true. The only creature louder than a Howler Monkey is the Blue Whale. 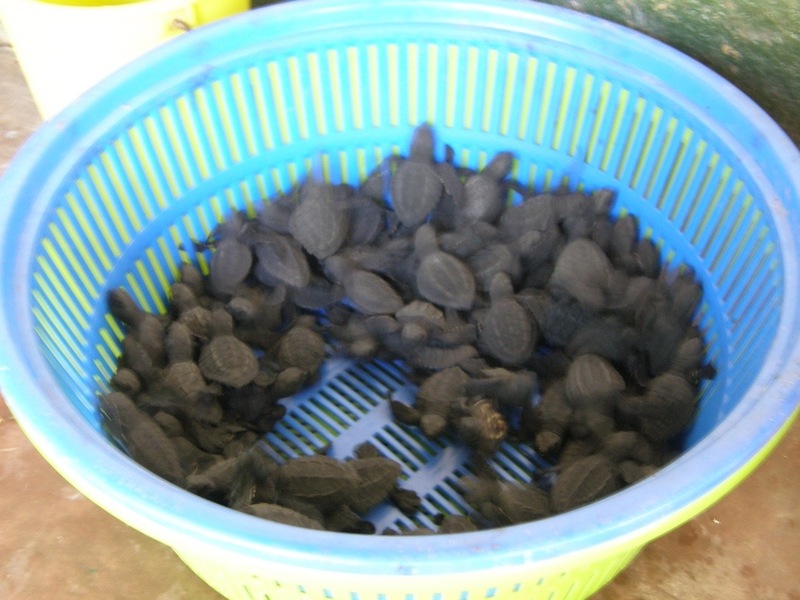 If you have never heard a Howler Monkey, click here for an audio clip.